My favorite part of making art with stencils is to add the pattern, but push it back so that it is barely there. I enjoy the HINT of a stencil almost always. Michelle Ward has an excellent collection of stencils. I used her "Maltese" stencil in the art pictured below. Thank you for your comments and visits here as well as on facebook. After such a long break, it is really nice to see my website come back to life. I am working on some exciting things that I can't wait to share. 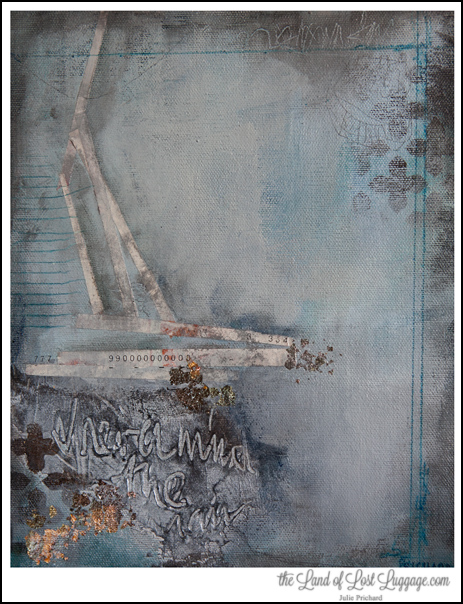 New art- acrylic, graphite and collage on canvas.